2nite Dec 3 @ 7PM (EST) Joy Radio Live w/Jenna Torres, Sweet, Sad, Funny. 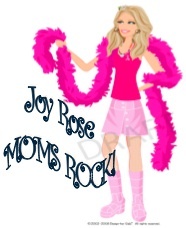 Songs like: Mommy’s Broken~http://htxt.it/lCj4 Listen Every Wed! From our good friend: Jennifer Nevadomski, M.S. The holiday season has begun! This is a wonderful time of year for many of us, although for some it can be the worst time of the year. As we celebrate this time of good tidings and cheer, my thoughts are with those families that may be having a tough time this holiday season, for whatever reason. I am of Italian heritage. Years ago, after the death of a loved one, my relatives would spend months wearing only black, and the holidays would be fairly simple: no Christmas cards, no decorating, and no partying. I remember when I was 13 years old, a cousin passed away. She was only 36 years old and left behind two young children. From that year on, my grandparents never decorated again for Christmas. Although they still gave us presents and my grandmother continued to cook dinner, it was never again the same for her. This past September, just ten days after my two month old was born, my grandmother passed away. She had been sick for some time, and was eighty three years old. I had a hard time jump starting myself to prepare for the holidays this year, but I have four little children and cannot “skip” over Christmas just because I may not be in the Christmas spirit. And although my grandmother didn’t celebrate the holidays after she lost her niece, I am sure she would want me to make sure my children have a great Christmas. Once I started Christmas shopping and put up the tree, it was easier to get into the spirit. Although for me, I will never forget how Grandma always made Christmases special. As parents, we often have to put aside our own feelings for the sake of our children. That might mean pushing ourselves to put a smile on our face when we really want to cry. That might mean sacrificing something we really want to get that special toy for our child. That might mean putting up a Christmas tree and sending out cards when you really want to skip right over December altogether. I have always loved Christmastime. Even though Christmas this year will be hard without my grandmother, seeing the smiling faces of my four children on Christmas morning makes Christmas that much better. And as wonderful as it is, I am also reminded of another Christmas that was not so wonderful, and I did not have four beautiful children to brighten it up. A role in her life unlike any other. A young woman is pregnant, and just found out. Her feelings are mixed without a doubt. Of the job ahead and everything to be taught. Of a poor diagnosis that is two-fold. How upset she is and how she has cried. She’s pregnant again, the tube is intact! ‘We’re having a baby!” How great is this? Looking forward to finally meeting the child growing inside. The joy of ‘parents-to-be’ – just imagine their pride! Visiting the doctor, expecting a heartbeat. ‘The baby has died…’ – this child they’ll never meet. Trying to stand, but feeling quite weak. It might as well have been her tomb. For the second time, her child has died. For the second time, they’re taking the child inside. As he looks at all the angels she’s collecting on a shelf. And she still has the dream she’s had all her life. Is that here on earth she has no children, but Heaven has two. She holds onto that dream, and holds onto that prayer. In memory of two little souls I’ll never forget. You’re looking down at Mommy, I bet.